When it comes to using technically advanced gizmos, you would need to anticipate its errors and more too. Using an iPhone or iPad is fine, but you might be clueless in following cases. In such situations, it is vital for you to reset iOS device. There are two ways to reset the iOS. One is just a quick reset where the cookies, cache files, junk files, call logs, and messages will get removed from the device. The other way is the permanent reset. Let’s discuss its effectiveness. 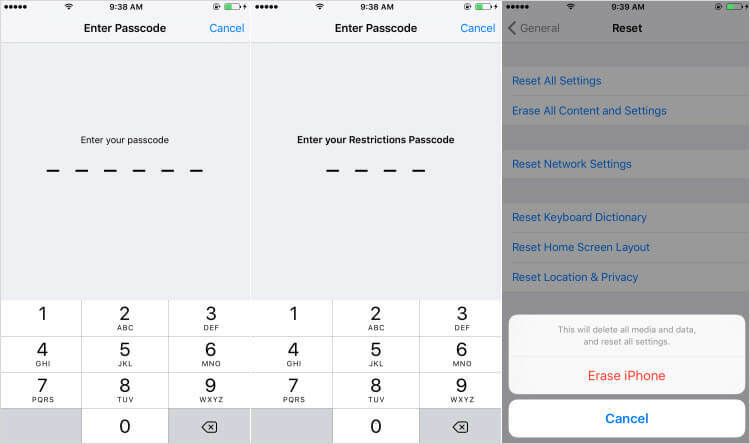 As it’s not safe enough to reset iOS directly on iPhone or iPad, we don’t recommend it to you. 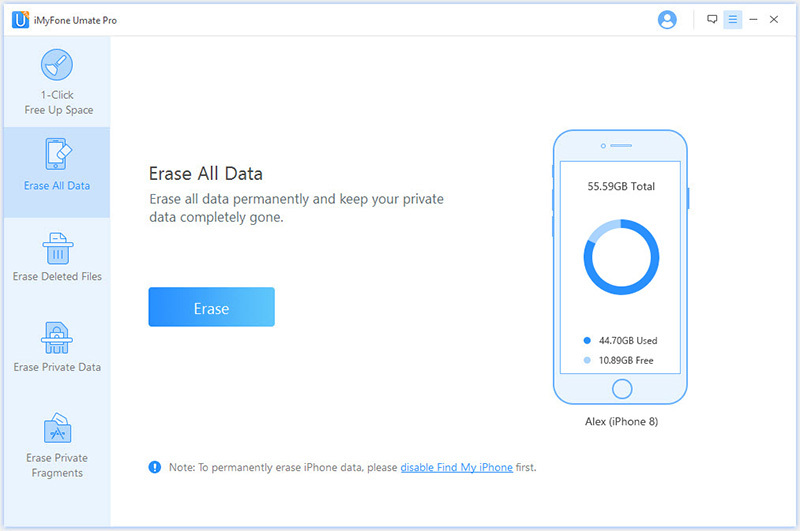 If you concern much about data privacy, take advantage of iPhone data eraser instead. 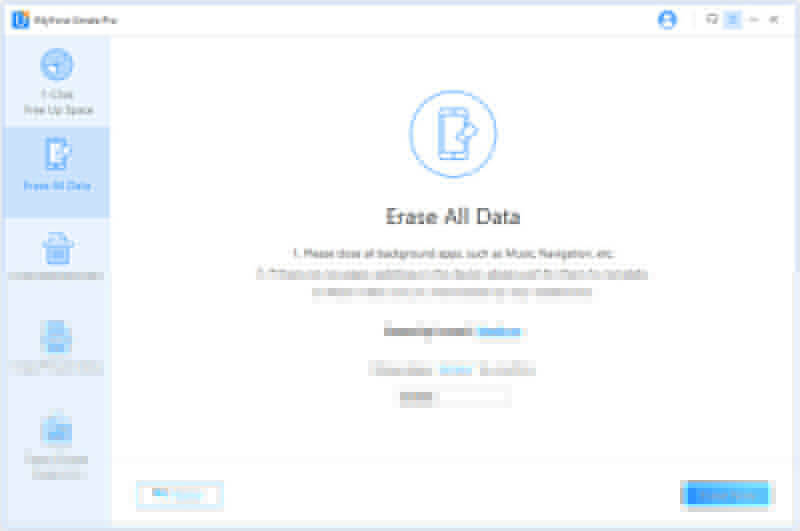 Here we take the iMyFone Umate Pro (or Mac version) for example to introduce you more about data eraser. Erasing feature is specifically developed to make deleted data 100% unrecoverable even by FBI! Fully reset the whole iOS just in one click. Preview and select existing data or previously deleted files to erase: messages, contacts, notes, call history, WhatsApp, WeChat, etc. Private traces left by Snapchat, Facebook, Chrome, Line, and 10+ 3rd-party apps will be wiped totally. Compatible with all iOS versions and all iPhones, iPads, and iPod touch. So, in order to ensure that all kinds of sensitive personal and banking data go out of the iPhone while resetting, it is better to go for iMyFone Umate Pro. The software application offers the perfect solution if you are wondering how to reset iOS 12. Step 2: Choose Erase All Data option from the left menu. Click Erase on the right panel. If you want to selectively reset just some specific iOS data, you can choose “Erase Private Data”. Or if you want to find and fully destroy those recoverable deleted files, you can choose “Erase Deleted Files”. Step 3: If you plan to sell or give away your device, click Medium link beside Security Level. Change the level to High. Step 4: Then type “delete” into the box and tap Erase to start resetting. There is another thing you should know, the iMyFone Umate Pro iPhone data eraser is also recommended by lots of industry experts, like getintopc.com, MacWorld, etc. It is easy to reset the iOS via settings too in case there is no way to download the iMyFone Umate Pro app on the computer. Step 1: Ensure that the iPhone or iPad has full charge, and you have taken the backup of any vital data. Step 2: Open Settings app on iPhone and go to General option. Step 3: Scroll download and tap Reset option. Step 4: Click on “Erase All Content and Settings” option. Step 6: Tap Erase iPhone to confirm. It will take a few minutes to completely erase your data. It has been proved that some data is still recoverable after resetting by “Erase All Content and Settings”. It’s not safe for your sensitive data which remained on your iPhone/iPad before. Don’t use this way especially when you want to put your old iOS device for resale or donation. Step 1: Connect your iPhone with the computer and launch iTunes. Step 2: Select your device tap from the menu in iTunes. Step 3: On the Summary tab, click on Restore iPhone button. Note: If you didn’t backup your data before, you can click on Back Up Now first to do backup, in case you may need your data in the future. Step 4: Click on Restore and let the process of erasing begin. 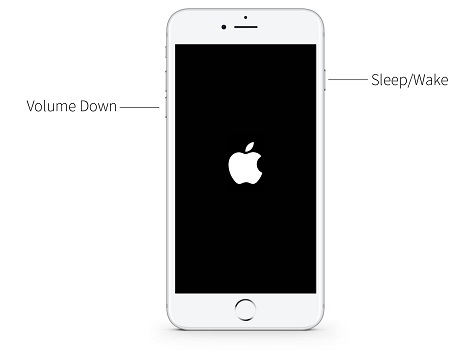 Your iPhone will restart when it finishes. The same as “Erase All Content and Settings”, some data is still recoverable after restoring. 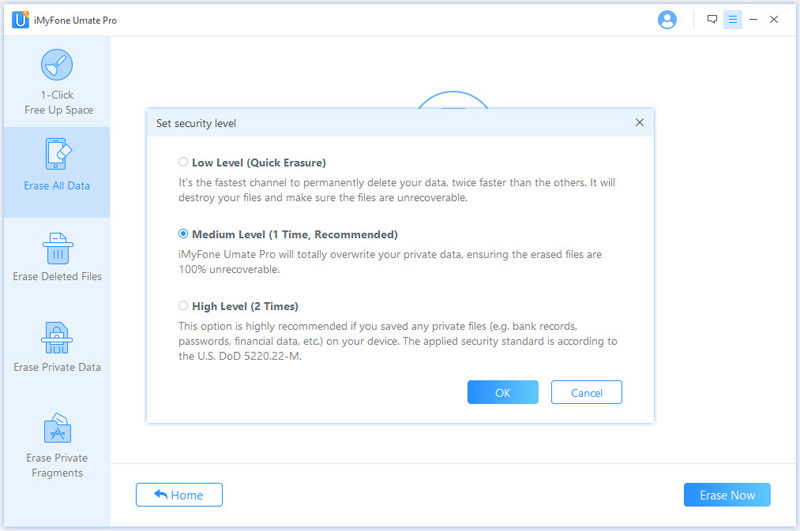 If you concern much about data privacy, just permanently reset your iOS with iMyFone Umate Pro. If will update your iOS to the latest version when restoring. If you mind, don’t use this way. 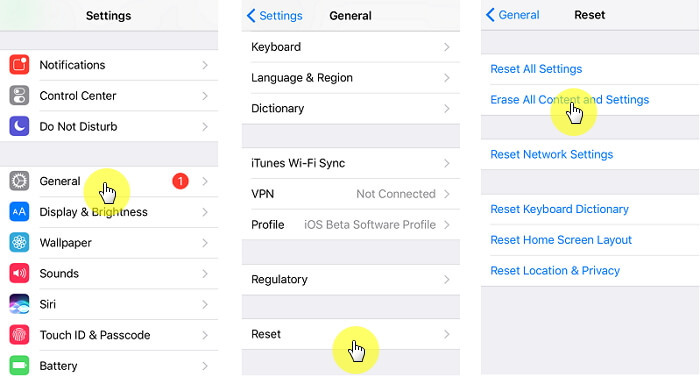 Hard reset is different from iOS “Erase All Content and Settings” and iTunes restore. It won’t delete any data or change any settings on iOS. Its function is much more familiar with reboot. In general, we don’t need to hard reset iPhone or iPad. Apple keeps this function as part of the normal troubleshooting process, that’s perfect. So if your iPhone or iPad is stuck, keeps crashing, or keeps restarting unexpectedly, you can hard reset it and put it back to normal. These are instances when it’s necessary to hard reset. So How Can We Hard Reset iOS? Quickly press Volume Up button and release. Then quick press Volume Down button and release. Don’t release the button until you see Apple logo appears. Press and hold the Power button and Volume Download button at the same time. Release the buttons until you see Apple logo appears. That’s it. 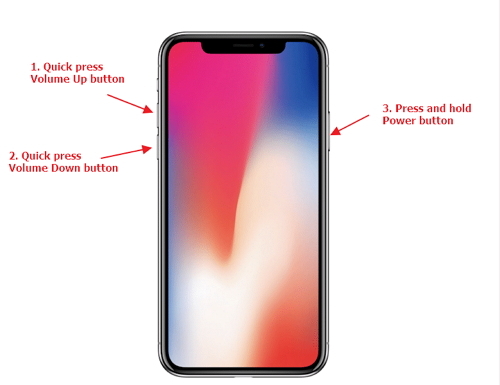 Press and hold the Power button and Home button at the same time. 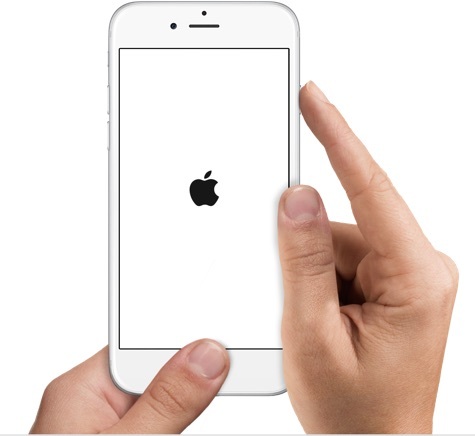 Release the buttons until you see Apple logo shows on the screen. That’s it. In conclusion, we can state that with every latest iPhone in the market, the solutions for problems or issues are also getting all the more innovative. Thanks to technological aids like iMyFone Umate Pro such issues do not even require a lot of care.